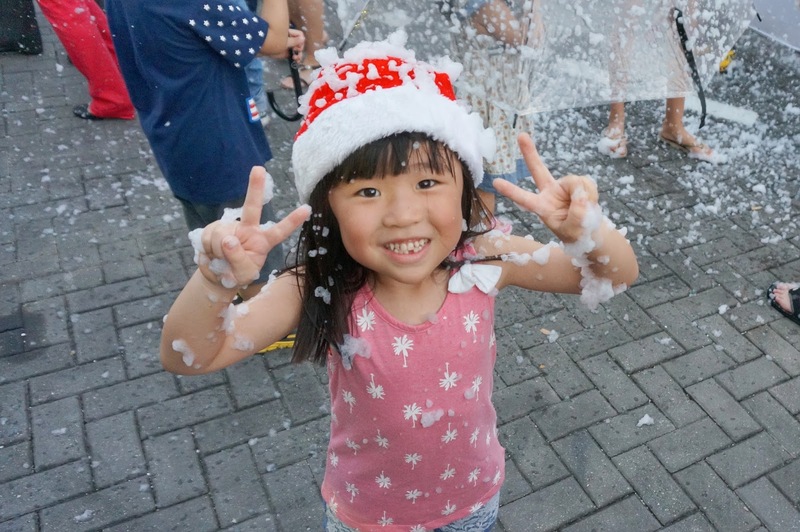 Woohoo the festive season is here! 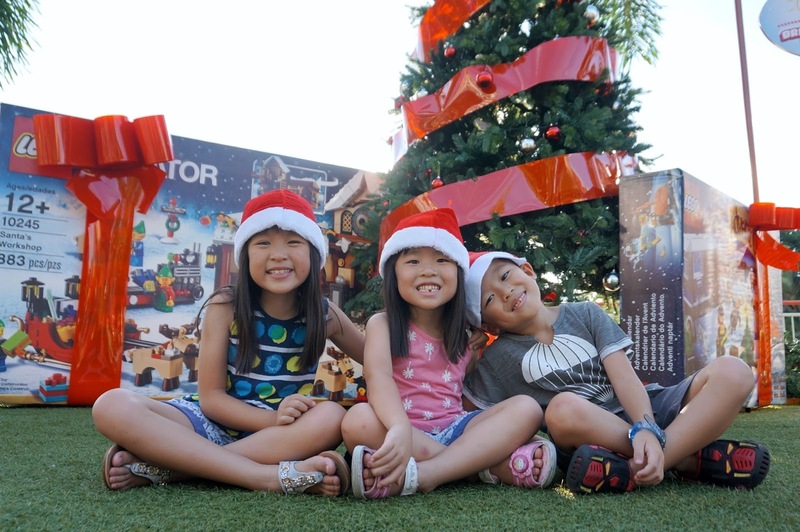 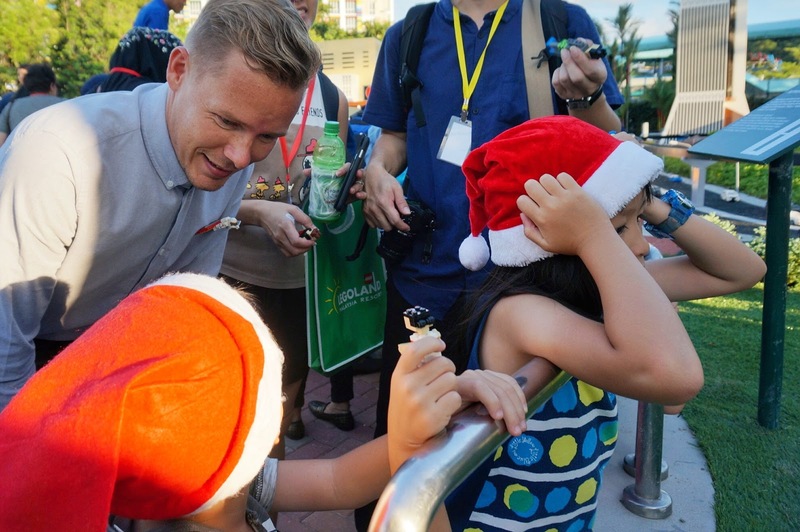 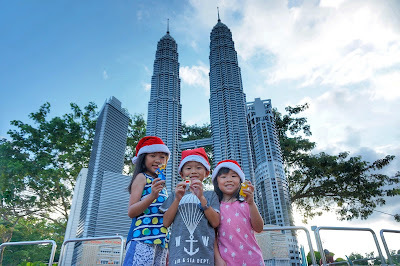 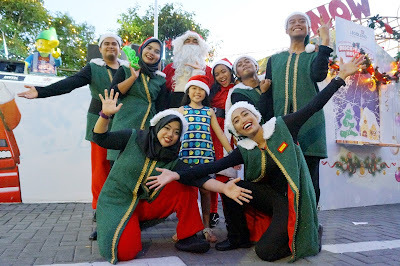 And instead of bringing the kiddos to a place with snow, like they had always requested, we brought them over the causeway to LEGOLAND Malaysia for Brick-Tacular 2016 instead! 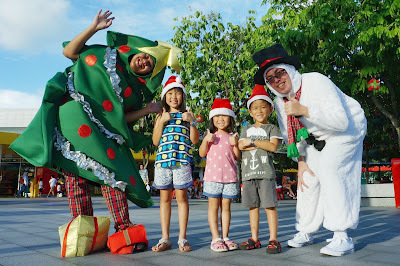 There will be staff dressed up in various different characters roaming around the City Area during park hours. 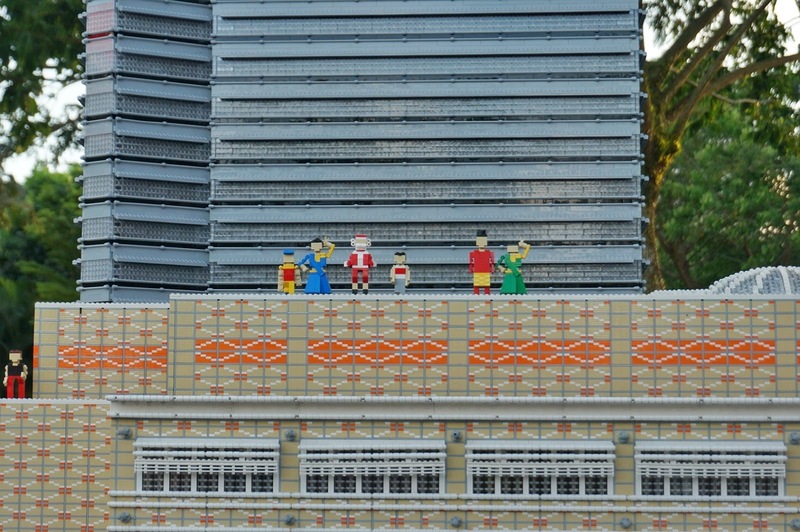 So be sure to find them for some photo opportunities! 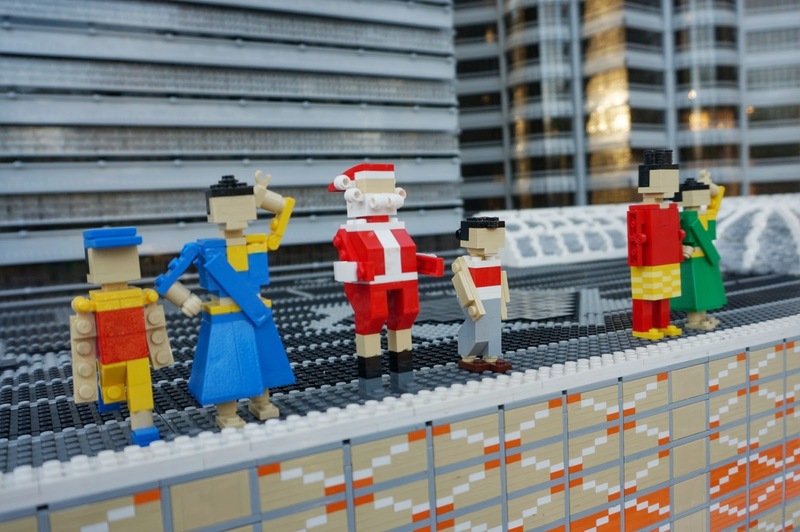 So if your hands are itching for some LEGO building, you can join the elves in building Christmas figures or decorating a wall with LEGO Christmas ornaments at the City Stage holding area. 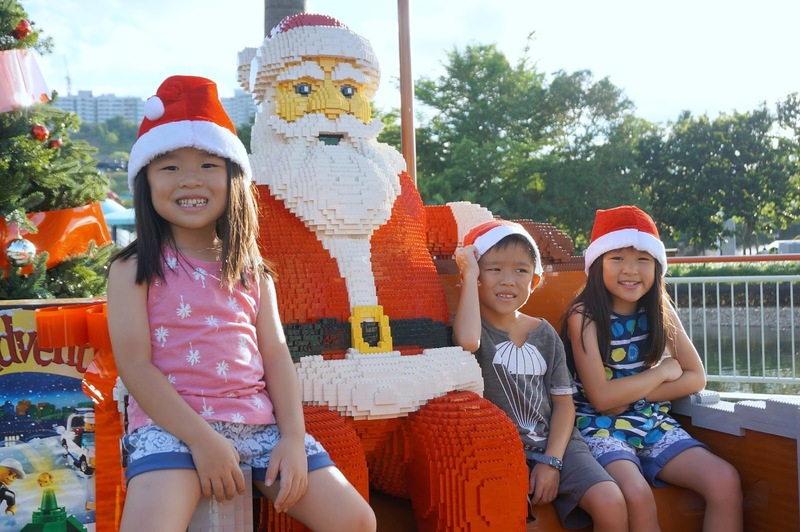 Santa will be driving round the park in his trusty sleigh with candies and treats for everyone. 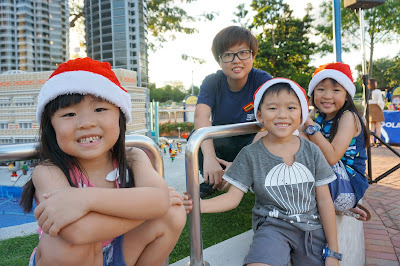 But you need to catch him between 1.45pm - 2.15pm and 6.45pm - 7.15pm! 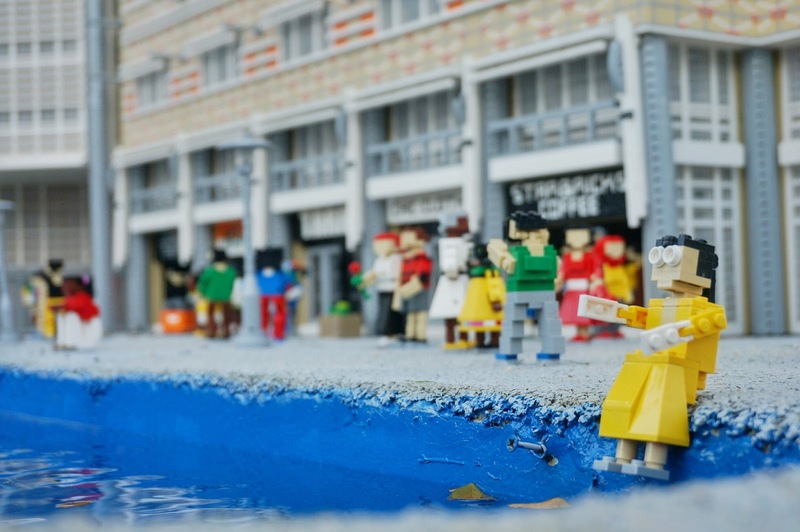 He goes in a fixed path though, so be sure to grab a pamphlet to find out where when you are there! Okay this is the fake one, but there will be a real Santa on a moving sleigh! Catch the cute Gingerbread man, tall Tin soldier and an Elf as they entertain guests in a 30-min performances 4 times a day. 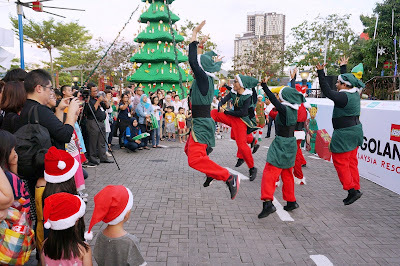 But timing is not fixed so you will need some luck at meeting them around the City Area. 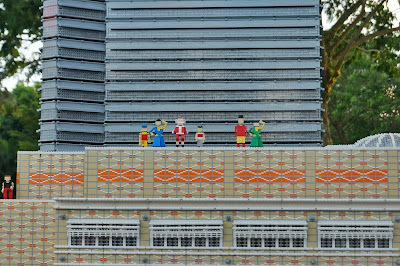 You will find the entrance to the Snow Village just on the right side of the stage. 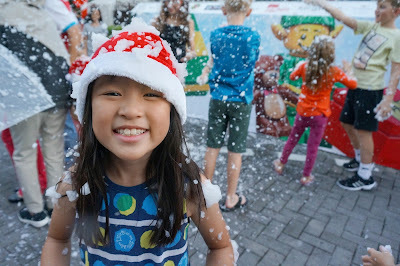 It sure feels christmassy with all the fake "snow" and Christmas decorations! 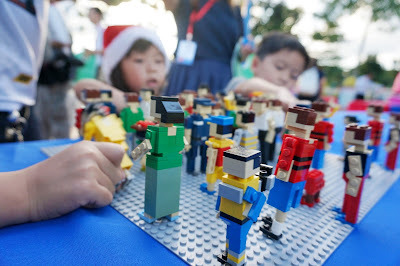 Here you can also find some LEGO merchandize for sale at a discount! 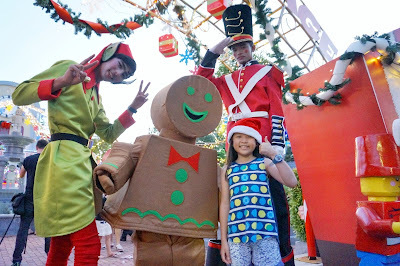 LEGOLAND's Christmas Band will also be making their rounds all over the park to spread some Christmas cheers! The performances lasts around 30mins each time and they start at 12.30pm, 1.45pm. 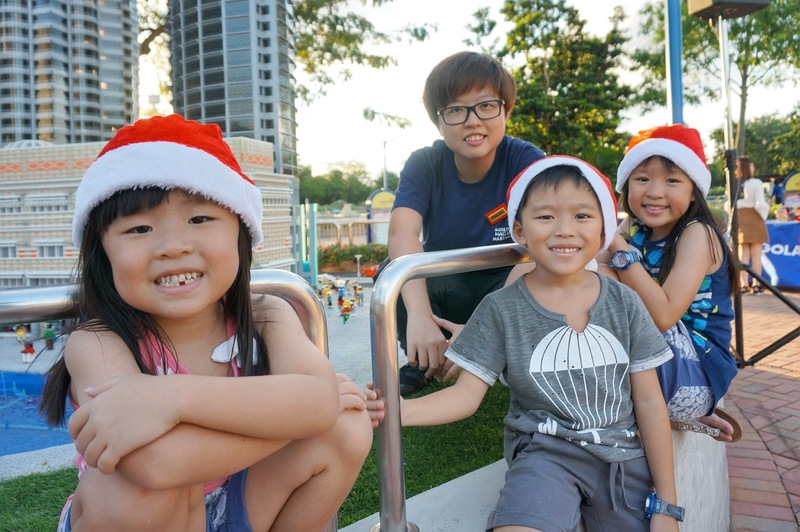 4.30pm, 6.15pm and 6.45pm daily. 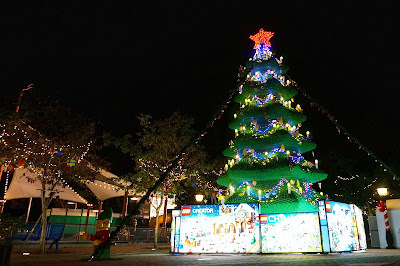 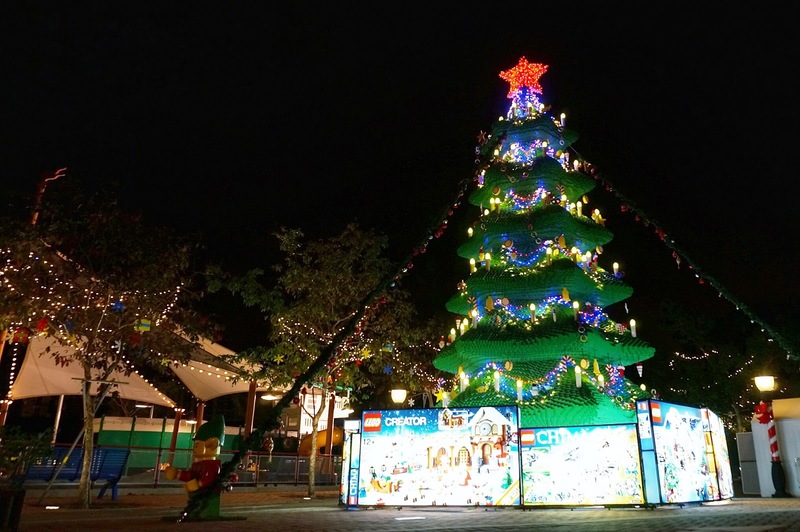 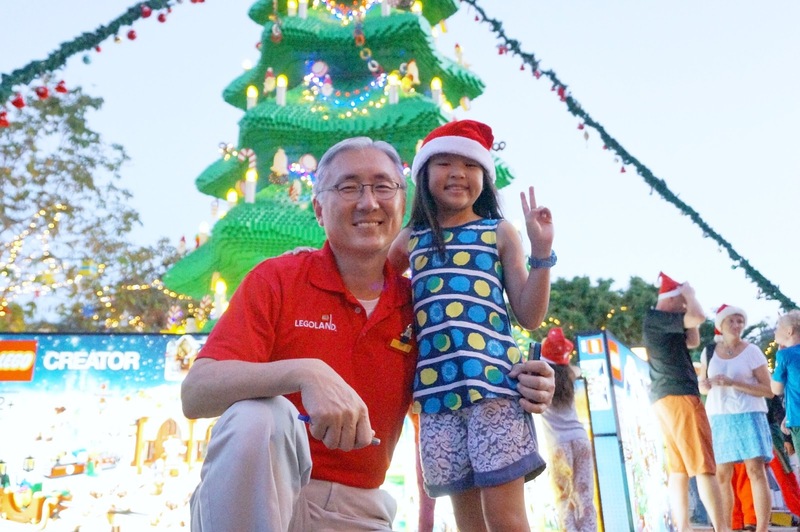 At 9m tall, Asia's tallest LEGO DUPLO Christmas tree is truly a sight to behold and it will be lightd up daily at 7pm. This will then be followed by the Advent Calendar lucky draw with winners picked by Santa himself! Some of the draws included hotel staycations as well as lots of awesome LEGO sets! 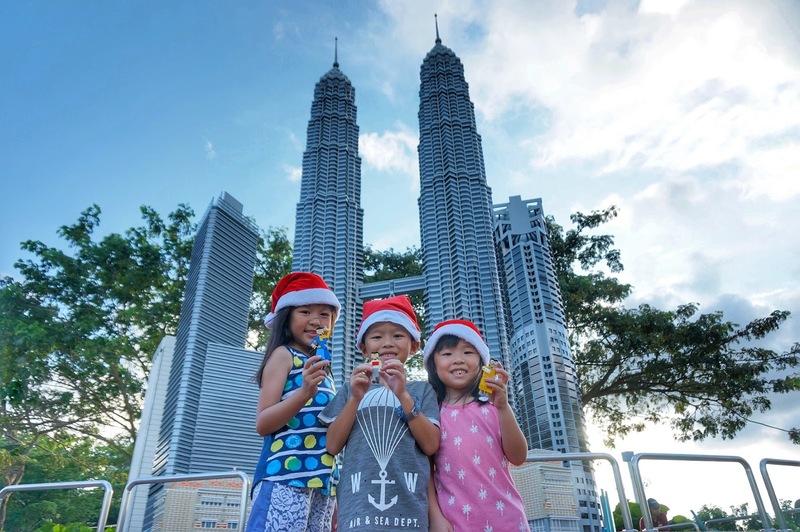 Everyday ten winners will walk away with prizes worth over MYR 1,000 each! 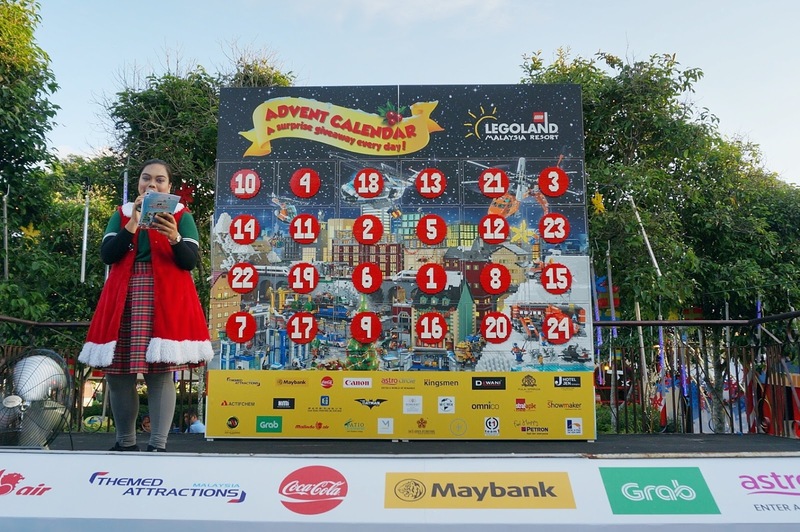 Be sure to drop in your lucky draw slips before 5.30pm at the Info & Lucky Draw Station. Well you are in luck if you are at the park on 31 December because this is the day you will get to see an amazing Musical FIreworks display at 7.45pm sharp. You will need special 3D glasses provided for the mesmerizing special effect! 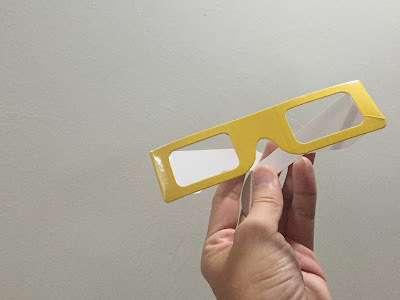 Got this at the event... Looks like we will have to get back there at the end of the month to see the magic ourselves! 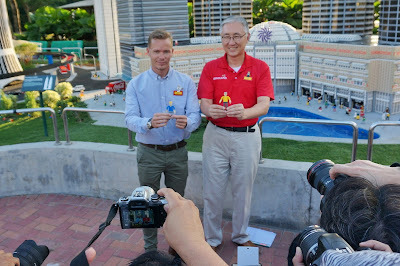 It also happened to be the launch of the newly upgraded KL Cluster and what made it especially memorable was that we got to pick our own Miniland figure and choose where we wanted it placed permanently in the display! Definitely felt like VIPs that day! Check out some of the spots the kiddos picked! 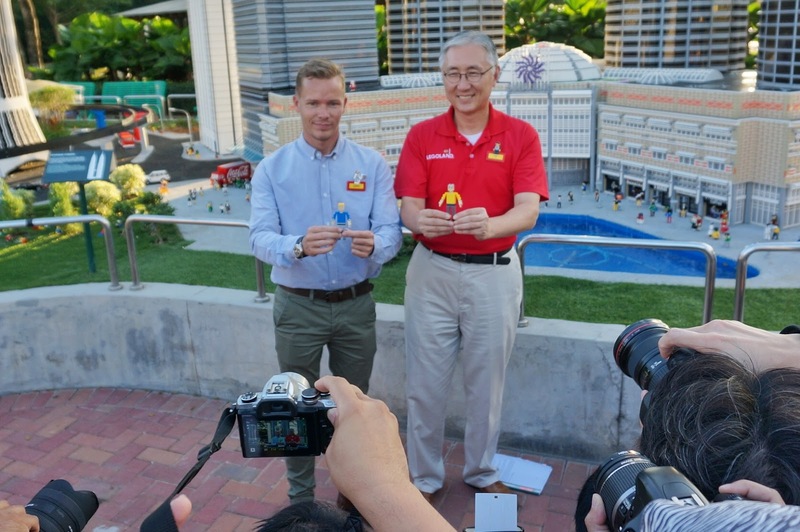 Mr Casper Bonavant, Director of Operations asking where Leroy wanted his figure placed. 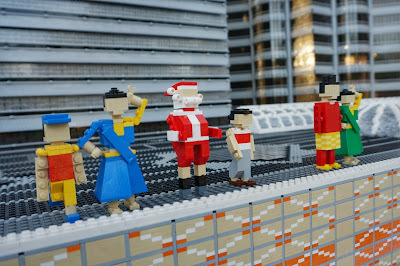 Steffi and Leroy had their figures placed beside Santa on the roof! Stacci said the weather was hot, so she wanted the lady sitting at the edge of the water! The kiddos with the big sister who helped them with the figure placement! 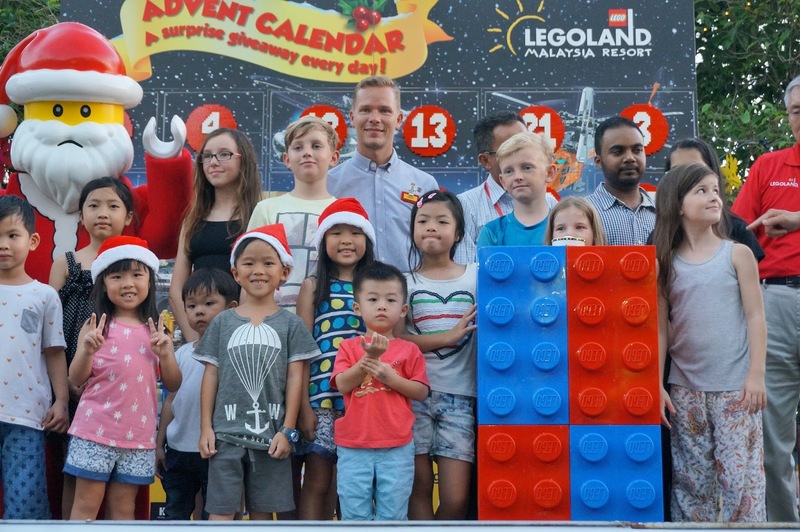 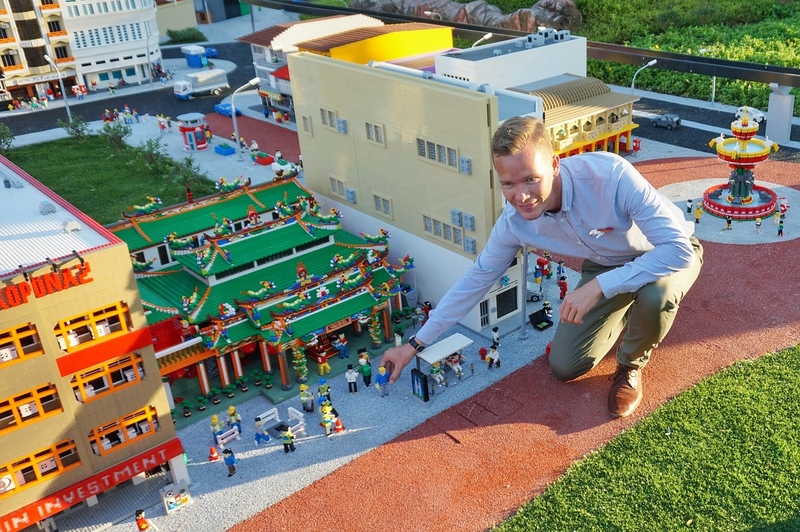 Kudos to the team at LEGOLAND Malaysia for always coming up with new ideas to keep everyone in the family entertained during our visits. 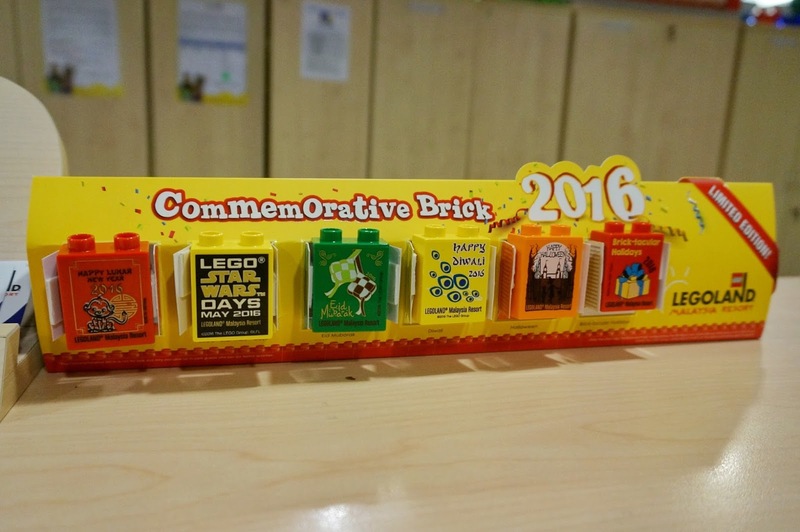 There are always something new and interesting to look forward to during our different visits. And then, there's always a limited Duplo brick which we can bring back together with our fond memories. Thank you for having the family over! 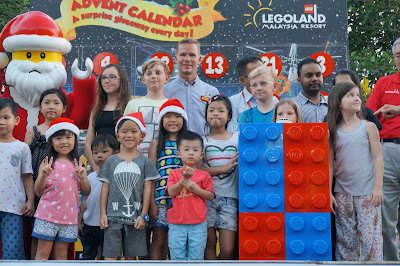 And with these 6 limited-edition DUPLO bricks, we conclude a wonderful 2016 at LEGOLAND Malaysia!